"The Garden Spot on The World Wide Web"
new millennium is not some ritzy or trendy area, but virtual Greenpoint"
The "Welcome To Greenpoint" website was established in 1994 (actually a "shell version" of the site was online in 1992) by native and still current Greenpointer, webmaster Joe C. At its peak, the site was receiving nearly 350 thousand "hits" per month, and became famous for its interactive bulletin board known as The White Wall. That's right, a "wall" where you could post and read viewers comments long before FaceBook. 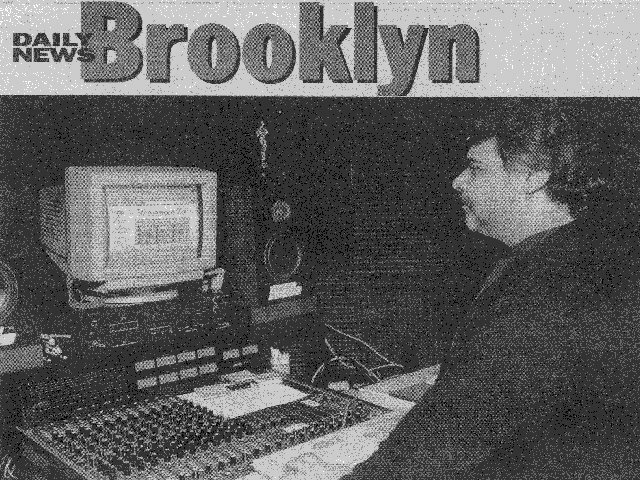 In 1998 GreenpointUsa was featured in the New York Daily News as "The Brooklyn neighborhood leading the way through cyberspace to the new millennium is not some ritzy or trendy area, but virtual Greenpoint"
Also famous for its (1638-1999) Greenpoint timeline, the website covered everything from the creation of the Greenpoint Flag in 1967 to the early effort of the Newtown Creek cleanup, to the Asian long horned beetle arrival in 1997. Unfortunately, sometime in 2001 GreenpointUsa closed down its active content updates. Today its content is more historic than current. We hope someday when we have more time that we'll begin to post more current information. Until then, enjoy what's here for now and please check back every so often at our what's new section to see how 'we're doin' and don't forget to pay us a visit at the GreenPointMusic.com website. See you soon and .........Welcome Home Greenpoint. 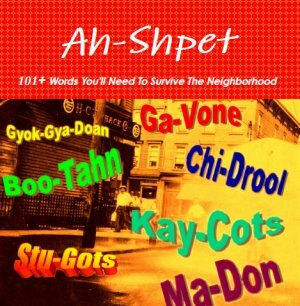 In 1998 WTG released the TD Marlo book (manuscript) called "Welcome To Greenpoint". It was the first book published about Greenpoint in over 45 years. A ton of them were sold, and given away to WTG contributors. Today, the book is actually in the reference material of the main Greenpoint library and the main Brooklyn Library headquarters. We have seen them on e-Bay going for quite a few bucks. Perhaps the owners of multiple copies of the book will put them up for sale on e-Bay again .... but until then, the book is available FOR A LIMITED TIME in electronic form at GreenPointMusic.com. Images of Greenpoint found around the Internet. In 1998 Richard Meserole, a member of the Meserole family (one of the first five Greenpoint family's) allowed this website to publish his life story, told in his own hand. An odd section of true Greenpoint family story's researched from days gone by. If you recall, this was the author of the Welcome To Greenpoint Book. He blogs now and then so, we'll keep him posted here. A matching column test of Greenpoint facts. Remember Candy and her raw Greenpoint rumor mill? Local rumors and chit-chat from August 1997 to September 1999.